Remotely unlock your door from anywhere in your home or business with this electric door strike. It works with any door strike compatible keypad, alarm system, or intercom system with a 12V DC output. It is also compatible with the SVAT VIS300-7M2 and the Defender GK300-7M2 video intercoms, and allows you to remotely unlock the door for your visitors. 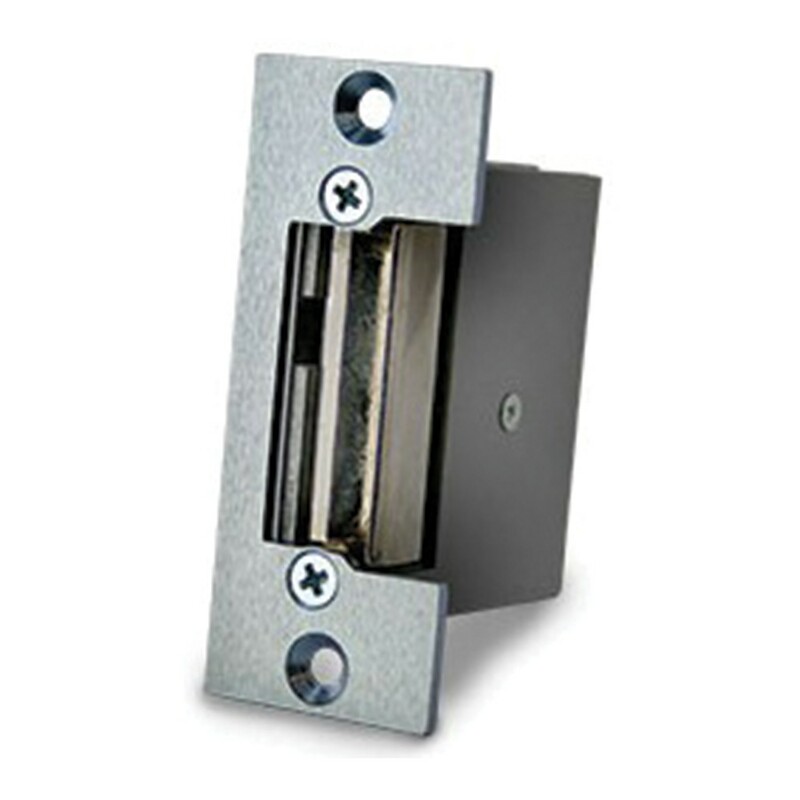 This electric strike will replace your existing strike plate with a mechanism that will only unlock your door when you press the unlock button on your intercom. When used in conjunction with the SVAT or Defender compatible intercom systems, you can verify who is visiting and press the unlock button on the monitor to let them in. This door strike will make a slight clicking noise when the unlock button is pressed, which lets visitors know they can enter. The door will automatically lock again after 5-10 seconds to ensure your security. You can open the door at all times from the inside, and you can still use your key to unlock or lock the door. This door strike is fail-locked, which ensures that the door will stay locked from the outside even if power is lost. Fail-locked design ensures your safety by staying locked even if power is lost.